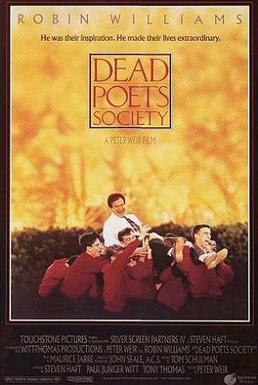 Peter Weir’s Dead Poets Society is a 1989 film which narrates the story of an English teacher, John Keating, who inspires his students to change their lives and challenge the status quo. Not only was a really powerful and entertaining film, but while I was watching it, I was struck by all the links I found between this movie and some the contents of this course (and North American Literature I). In the following lines, I will comment about the main themes found in this movie and its connections with Romanticism and Transcendentalism. Romanticism was such a complex movement that it would be incorrect to simply define it as a reaction against the blinded faith in reason which existed in the Eighteen Century. Even so, the struggle between Reason and Sentiments was certainly one of the most important features of this movement. The Romantics validated strong emotions as a way to pursue the truth. This struggle was one of the main themes on the movie. From the very first scenes, it is seen that the authority is going to impose to the boys what they consider to be best for them without consulting them what they think or feel. Neil Perry, Todd Anderson, Knox Overstreet , Charlie Dalton ,Richard Cameron, Steven Meeks and Gerard Pitts attend Welton Academy, a prestigious preparatory school in Vermont. The school is based on four principles: Tradition, Honor, Discipline and Excellence. This institution is run by a severe group of teachers who prepare an overwhelming and impressive curriculum for their pupils. They are known as one of the most prestigious academies in the country. A new semester begins and hundreds of parents leave their sons in Welton in hopes that its teachers will raise them as doctors and lawyers. In one scene, Neil Perry’s father calls his sons and dictates for him all the things that he will or will not do during the semester. Teachers and parents represent the idea that Reason is the only way to excellence and meaning in life. They know what’s best for the boys because they are grown-ups and are aware of what is out there in the real world, so they take the most logical decisions for their future. However, they fail, especially Neil’s father, to comprehend the boys’ feelings and emotions. In contrast, the new English teacher, John Keating, will encourage the kids to think for their own and to challenge the status quo in their life. Keating is a Romantic. He teaches them the works of the romantic poets such as Thoreau and Lord Byron. He certainly knows the power of feelings and emotions. For instance, he commands the class to rip out the pages of an essay called “Understanding Poetry” which describes a scientific way to determine the quality of a poem. This is another way to criticize the use of Reason in a genre in which the sentiments are so significant. The Romantic idea of the poet as a “seer” is also present in the story. The students, who are very intrigued with Keating, learn that he was a member of the Dead Poets Society. When asked, Keating depicts the glorious moments of creating gods (another Romantic idea) but advises them to forget about it. Nevertheless, they repeatedly sneak off campus and form their own Dead Poets Society. During these meetings, each boy is able to develop his own romantic nature. Knox Overstreet falls in love with a girl who is nearly engaged to the son of his parent’s friends. He pursues her insistently, driven by Romantic ideals, regardless the threats on his life by her boyfriend. He writes her poems and is moved by the Romantic ideals of love. The bard of America is mentioned in several parts of the film. In the first day of class Keating takes the students to a room in which there is a portrait of Walt Whitman on the top of a wall, and a picture of former Walton students below it. The movie finishes with the students saying to Keating the words that Whitman composed in honor to Lincoln; “Oh Captain, my Captain”. “Seize the day”, Keating whispers these words on the very first day of class. He begins his teachings with an intense lecture on their imminent deaths, explaining to the students that their lives are brief so they should seize the day to make their lives count. Without death and suicide, Romanticism would not have been the movement that it was. Most Romantic artists died very young by different causes, including suicide. This is also one of the main themes in this movie. There are two kinds of death in this movie; a physical and a symbolical death. The first one is about Neil Perry. Neil realizes that his real passion in life is acting. He wants to be an actor, but s his strict father will disapprove it. Without his father's permission, he auditions for a production of Shakespeare's A Midsummer Night's Dream. Eventually his father finds out, ordering Neil to withdraw from the play, but Neil goes against his wishes and performs anyways. Neil's father plans to pull him out of Welton and enroll him in Braden Military School to prepare him for Harvard University and a career in medicine. Neil is unable to cope with the future that awaits him and he is equally unable to make his father understand his emotions. Neil commits suicide with his father's revolver. The symbolic death is about Keating downfall which is a consequence of Neil’s death. In an academy like Welton, such scandal could bring it down so they need a scapegoat. Neil's father blames Keating and his unorthodox way of teaching. The students are forced to make a confession blaming Keating for abusing his authority. 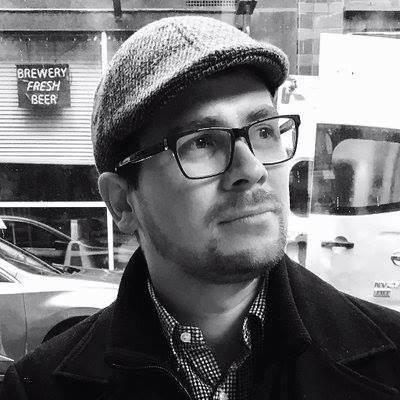 Keating is fired. It is quite remarkable that two of the main themes are present in the title of the movie. The last scene encapsulates most of the themes I have mentioned before. The boys return to Keating’s English class which is now being taught by Nolan, a severe teacher, who makes the boys read from the essay they ripped out at the start of the semester (Reason vs. Sentiments). Keating enters the room to take a few possessions and he hears the reading of this essay. As Keating is about to exit, Todd shouts "O Captain! My Captain!" (Walt Whitman) while he stands on his desk. At the end, all the members of the Dead Poets Society stand on their desks and look at Keating proudly. Keating leaves saying "Thank you, boys. Thank you." This last scene also reflects Keating’s symbolic death, for it is a chant about a dead man that the kids are reciting.